This article was first published by Global Research in October 2016. This is the historical context of the recent Israeli massacres, which is rarely the object of media coverage. Not only are these borders artificially drawn, they highlight the utter insanity of fencing an entire population in the world’s largest open-air prison simply because of Israel’s need to maintain a Jewish demographic majority. Summer days are long, but in Gaza, they are longer than one might think. They get even longer when the electricity and the internet are shut off, which is most of the time. This had been my daytime nightmare ever since Israel imposed its siege on the Gaza Strip in 2007. To escape it, you could read or visit a friend to talk to, but when the weather gets hot and humid, the energy to do any of these activities evaporates. On one such hot and humid day, I went to the roof of my house out of boredom. Although this was not the first time I had looked at the landscape from my family’s rooftop in Deir Al-Balah, some thoughts and reflections made this day unforgettable. I looked east and there were the borders between the Gaza Strip and Israel, and I looked west and there was the sea. From that same spot, both borders were visible, and between them, the familiar scene of innumerable drab houses stretching towards both horizons. Palestinian workers salvage building materials near Erez Crossing at Gaza’s northern border, Beit Hanoun, May 11, 2014. Human rights organizations have documented dozens of cases of Israeli army gunfire at persons who posed no threat and were well outside the 300-meter so-called “no-go zone” imposed by the Israeli military inside Gaza’s borders. In many cases, no warning was given before soldiers opened fire. At that moment, I recalled one of the famous common sayings used by Palestinians in Gaza to refer to the Strip: we’re trapped ‘min al-silik ila al-silik’ (from the fence to the fence). This simple phrase sums up Gaza’s current reality: a fenced place, surrounded by dead-ends and, within it, a caged human sea with almost no hope or future. Such thoughts never abandoned me. They chased me most of the time I spent in Gaza, where I observed how the Strip grew ever more overcrowded. 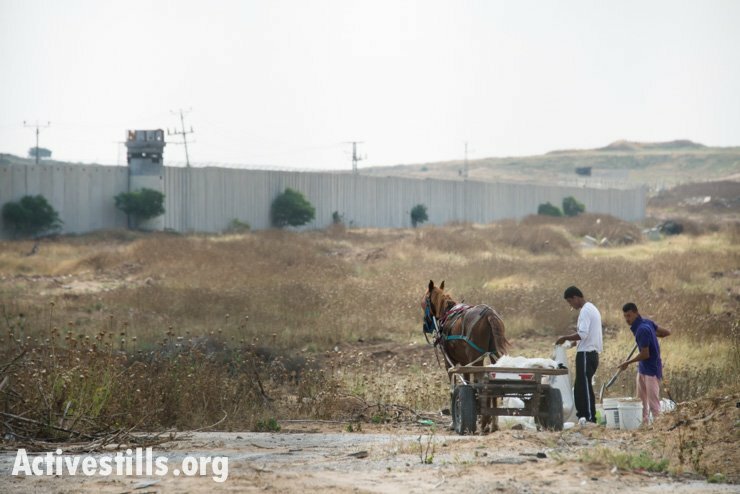 ‘From fence to fence’ is a simple enough expression, and yet it reflects the geographic space Palestinians inhabit. For them, ‘the fence’ is the most pernicious manifestation of the Zionist conquest in 1948, and its continuity into the present. 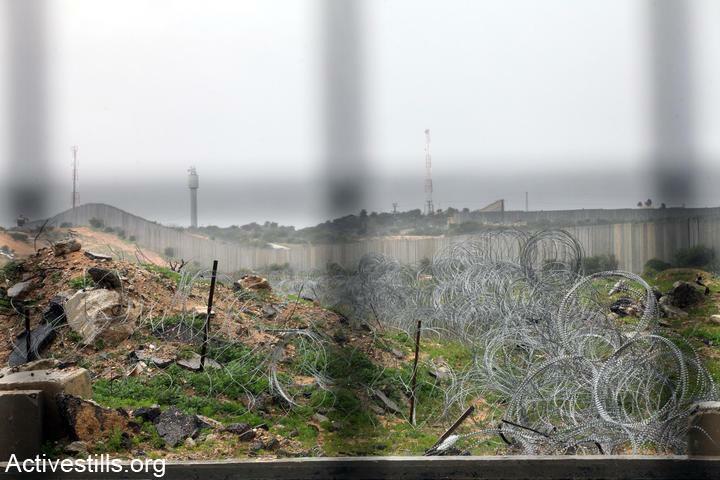 The fence is a physical barrier that was imposed by an external force, which divides what the Palestinians in Gaza consider as their historic land, and which prevents them from returning to their original towns and villages. The fence is a constant reminder of the rupture caused by the 1948 War, which pushed many Palestinians out of their towns and villages in what is today the State of Israel. Even when some Gazans refer to the armistice line of 1949, few people refer to it as a border. It is mostly referred to in Arabic as ‘al-silik’ — literally, ‘the wire,’ or ‘the fence.’ For the Palestinians in Gaza, the fence evokes the Nakba, the refugee struggle, and the occupation. The fence, as a physical barrier to refugee return, was the beginning of the tragedy. The fence today is its continuation. And since the fence caused the problem, the solution must include its removal. 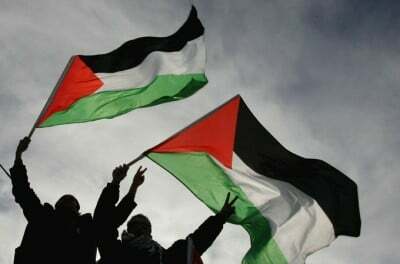 The fence is the history that Palestinians in Gaza never want to forget, and no amount of aid can induce them to do so. The central element of the historical context behind Gaza’s present reality is the Nakba (catastrophe) of 1948. The Nakba is not history relegated to the past, but history lived in the present: in the narrow alleys of the crowded refugee camps, in the women who leave their humble houses in the camps every morning to receive their food packages, in the barefoot children who play soccer on Gaza’s beach, and in the lands of depopulated villages just beyond the fence still visible from the rooftops of Gaza’s refugee camps. The Nakba is still present in Gaza, not only by the continuation of the state of refuge, but also by the continuity of the rupture that it caused. By the time the 1949 armistice agreement was signed, around 200,000 refugees had already arrived in the Strip and gathered in eight refugee camps. Unlike many of the refugees that fled to neighboring Arab countries, Gaza’s new arrivals were never far from their original homes. Across the armistice lines, many could see their old villages. In 1950, the Israeli Knesset passed the ‘Law of Return,’ which allows only Jews to ‘return’ to Israel proper, whereas its policy towards the Palestinian refugees who were spirited across the borders and the demarcation line was clear: they will never come back. After the Six-Day War in 1967 and the beginning of Israel’s occupation and military administration, these refugees were allowed to travel into Israel with special permits where they were able to finally see their towns and villages, but of course, they were never allowed to return permanently. The post-Nakba history shows that Palestinian refugees in Gaza resisted the demarcation line. For them, the land beyond the line was perceived as a lost paradise to which generations of refugees yearned to return. As for the early refugees, it took them time to understand that the line had become practically impassable. Attempts by refugees to cross to their towns and villages, including farmers who tried to cultivate their land, were brutally confronted by kibbutz residents and Israeli military outposts located near the demarcation line, and led to the deaths of many of those who attempted to cross. During this period, the armistice line began to develop into a frontier of confrontation and resistance, despite its artificial nature. Later on, the line would take the physical shape of a fence, to be engraved in the Palestinian collective memory and awareness as both a material and a symbolic monument of rupture and territorial and emotional disconnection. Metaphors such as ‘from fence to fence’ remind Palestinians in Gaza — both as refugees and natives — of their loss, their tragedy, and the abnormality of the fence that divides their land and prevents their return. Not only are these borders artificially drawn and reinforced with the use of brutal force, but they highlight the utter insanity of fencing an entire population in the world’s largest open-air prison simply because of Israel’s need to maintain a Jewish demographic majority. The fact that Gaza’s crisis could be solved tomorrow if the majority-refugee population were granted its right of return is completely ignored by the humanitarian discourse. The tragedy of Gaza needs to be understood through the intensity of loss, especially since in Gaza’s situation, what was lost is only a stone’s throw away for many refugees, who can still see their former towns and villages beyond the fence. The author, a Palestinian from Deir al-Balah city in the Gaza Strip, is a PhD candidate at New York University for a joint program in Hebrew and Judaic Studies and History. A version of this article was originally published on The Nakba Files, part of The Nakba & the Law, a joint project of the Columbia University Center for Palestine Studies and Adalah – The Legal Center for Arab Minority Rights in Israel. The piece is an edited excerpt of an essay that appears in Gaza as Metaphor, a new volume edited by Helga Tawil-Souri and Dina Matar.